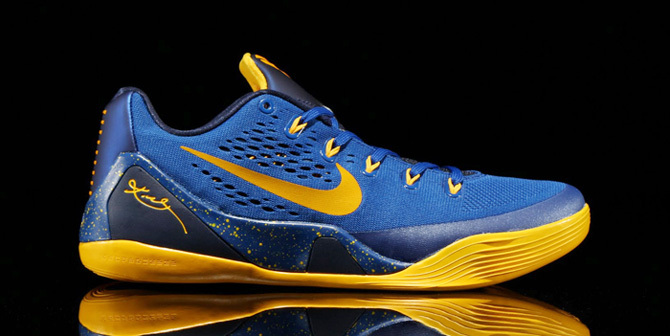 Release Date: Nike Kobe 9 "Gym Blue"
Speckled Nike Kobe 9s are releasing in a couple of weeks. 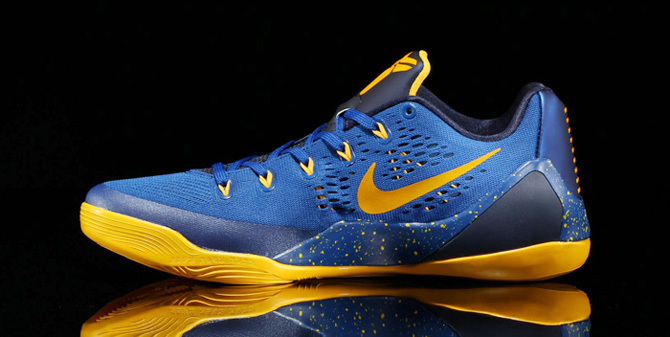 The Kobe 9 "Gym Blue" release date is November 21st, 2014. 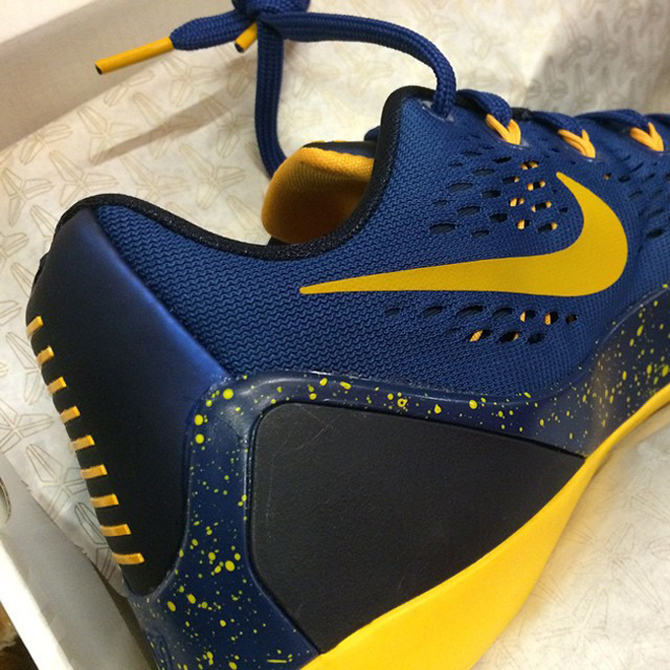 Unlike so many other pairs of the Nike Kobe 9, these don't get graphic on the upper's engineered mesh portions. While those are left alone, there is some speckling introduced via the midsole piece. The choice of blue over purple leaves them outside of the Lakers range, but not every pair of Kobe shoes can be expected to link up with that franchise. 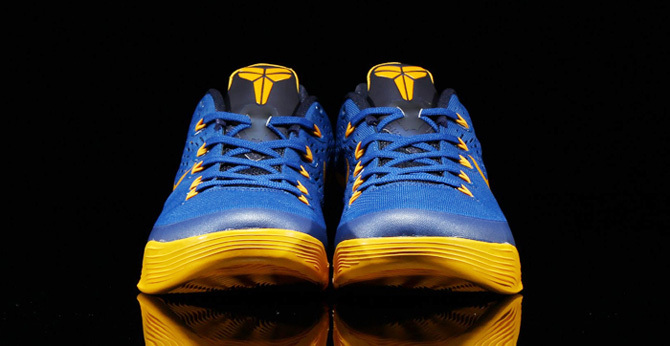 See some detailed angles on the Kobe 9 "Gym Blue" below and stay tuned for more Nike release dates right here. 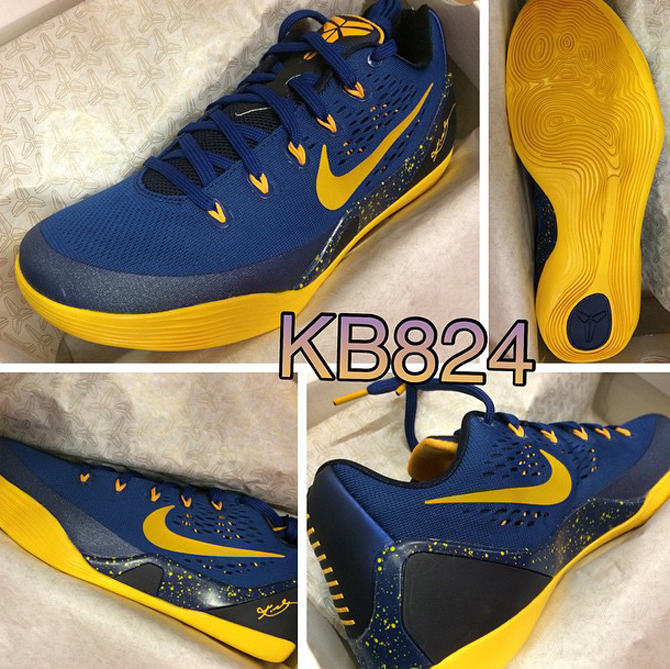 UPDATE: See new images of the 'Gym Blue' Nike Kobe 9 EM below (via Kinetics).